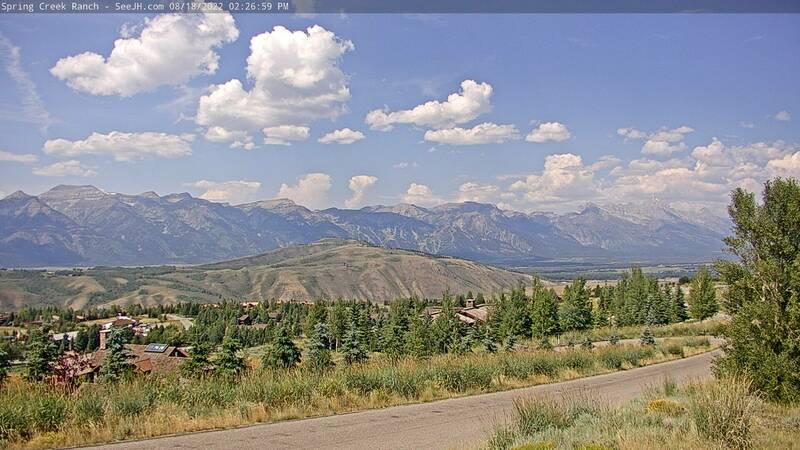 Let’s be honest: Jackson, Wyoming and the surrounding area is a fabulous vacation spot year-round. However, with so much to see, it can be tough to plan a trip to Jackson. We want to give you the inside scoop on how to make the most of your vacation to Jackson, Wyoming. All four seasons offer something different to do and see in the Jackson area. With so much to do, choosing the best time to visit is often the hardest part of planning a trip to Jackson. The time of year you visit often dictates what activities are available to you, so be sure to choose a season that best suits your interests. Visiting Jackson, Wyoming in spring gives you an excellent chance to both ski and enjoy nearby attractions. Around Spring Break, Jackson ski season is still in full swing. Be aware, the lifts close the second week of April, so plan accordingly. Rendevouz Fest, our annual spring festival, kicks off in mid-March and marks the beginning of the spring skiing season. As things begin to thaw, road biking routes begin to open up. In late spring you can do many of the summer activities, but without the crowds (just be prepared for cooler temps). You’ll still have to contend with snow on the trails, but more roads are open, providing you better access to iconic areas such as Yellowstone National Park. Check with the Park’s Service for the latest conditions. The summer season in Jackson marks the busy season for the area, and for good reason! In the summer there is a wide range of activities from water sports to mountaineering. Backpacking routes to leisurely scenic wilderness drives. Let’s not forget that Jackson Hole is a world-class trout fishing destination and summer is the time to reel them in. Summer is the season of exploration! And you can’t be summer weather. Days are mostly sunny and hot with cooler nights. Thunderstorms pass through regularly, but usually move quickly through the landscape. All of the sunny weather, means you’ll want to pack sunscreen, sunglasses and a hat to protect yourself from the high-altitude rays. On the flip side, roads can be congested, campsites full, and it may be hard to book a hotel (especially around summer holidays). Be sure to plan well in advance for a summer trip to Jackson, Wyoming. The crowds come in droves for what many consider to be the best time of year here. Every fall, Jackson explodes with color. As the Aspens turn, it looks as though the hillside is on fire with the colors of fall, which slowly melt up into the snowy mountain tops. During the fall months, Jackson winds down from the summer excitement. Things begin to slow down and the area has a more local feel. The national parks are less crowded and wildlife is more active than any other time of year as they experience the fall rut and begin to prepare for the winter months. Although most water sports are finished for the season, you can still enjoy fishing, biking, hiking, wildlife viewing, photography and more! The snow piles up quickly here in Jackson. Before you can say “pow-day” the chairlifts are turning and you can snag fresh powder stashes at one of Jackson’s ski resorts. Each resort offers something different, so there’s fun to be had for all types of skiers and riders. Throughout the winter season, you can enjoy alternative winter activities, such as a snowmobile adventures through Yellowstone National Park, cross country skiing or the vibrant apres scene. There are several ways to reach Jackson, Wyoming. Salt Lake City, Utah is a four-and-a-half-hour drive southwest. Idaho Falls Airport is only a two-hour drive from downtown Jackson. If long drives aren’t your thing, you can fly directly to Jackson Hole Airport. Be sure to snag a window seat for the flight in and wave hello to the mighty Teton Range. Nestled at the base of the mountains, this airport offers reasonably-priced, direct flights from major cities including Los Angeles, New York, Chicago, and Dallas. For a small town, Jackson offers a wide variety of places to nosh. Some of our favorite spots include our very own Granary, complete with iconic mountain views, or snagging some waffles at Corbet’s Cabin. Jackson also has plenty of watering holes to quench that thirst after a big hike or day on the slopes. Check out the world-famous Cowboy Bar or relax and unwind right here at Spring Creek Ranch in our Granary restaurant. We could write an entire guide book about all of the amazing offerings of activities in Jackson, Wyoming. It would take a lifetime to see everything, but we’ve outlined a few of our favorite things to do around Jackson here. Jackson is right near two world-famous national parks. Yellowstone, the largest national park in the country, is famous for its geothermal geysers, pools, and abundance of wildlife. Nearby Grand Teton National Park is a hiker’s haven, with countless hiking and wilderness backpacking options. Both parks are open year-round, but keep in mind that roads are not maintained through either park during the winter, making park access a bit tougher (though still possible via xc skiing, snowshoeing or snowmobiling). Always be sure to check local road conditions before heading out for the day, or join a day tour to take care of the planning for you. Exploring Jackson and the surrounding areas on foot is an excellent way to immerse yourself in nature. Both in the national parks, nearby state parks, and the national forests there is an abundance of hiking trails for all abilities. We love AllTrails.com for planning hikes. The website is free to sign up and it gives you all the juicy details such as difficulty, distance, trailhead location, and more. Just be sure to be a responsible wilderness adventurer and keep Jackson’s trails clean for the next visitor. Did you know that Jackson offers some of the best fishing in the United States? Fly fishing is a bit of a cult out here in Jackson. The experienced angler can hire a guide to hit all of the honey holes, or you can take a fly fishing lesson and learn the ropes. Plan an adrenaline-packed adventure with some white water rafting. Rafting season in Jackson runs from May to October when the water is at its highest. Winter in Jackson, Wyoming is unlike any other. Jackson area ski resorts are known for their steep terrain and dramatic mountain backdrops. Find the perfect pow-stash or chute a big couloir. Beginner skiers and riders will love the variety of beginner terrain that is also available. Every summer marks our favorite time of year, rodeo season! Wednesday and Saturday nights come on down to the Jackson Hole Rodeo Grounds for an evening of barrel racing, bucking, and more! Come see this time-honored tradition and get into the rodeo spirit. If you’d rather hop in the saddle yourself, consider going on a scenic horse ride over at Spring Creek Ranch. Don’t worry, our horses don’t kick, but the scenery certainly gives you a sense of wonder and excitement. Everyone loves to take a trip to the town square. Originally founded by settlers in 1872, there is a lot of great history in the town, as well as a rich history of Native American tradition in the Jackson area. Take a photo under the iconic antler arch, shop for some local art at our galleries, snag some sweets at the Yipee Io Candy Store, and saddle up with a cold beverage at the Million Dollar Cowboy. The first step is to book your reservation at Spring Creek Ranch! Once your stay is booked, our season concierge team will be able to help you plan the perfect itinerary based on the season and your interests! Regardless, we know your trip to Jackson will be filled with awe-inspiring vistas, a deep connection to nature, the adventure of the American West, and friendly people that will have you wanting to come back year after year. Choose from the vacation specials below to view the details of each one.